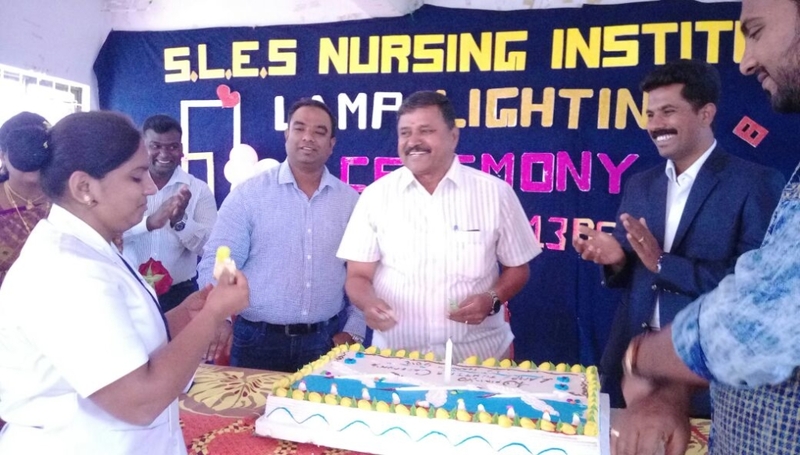 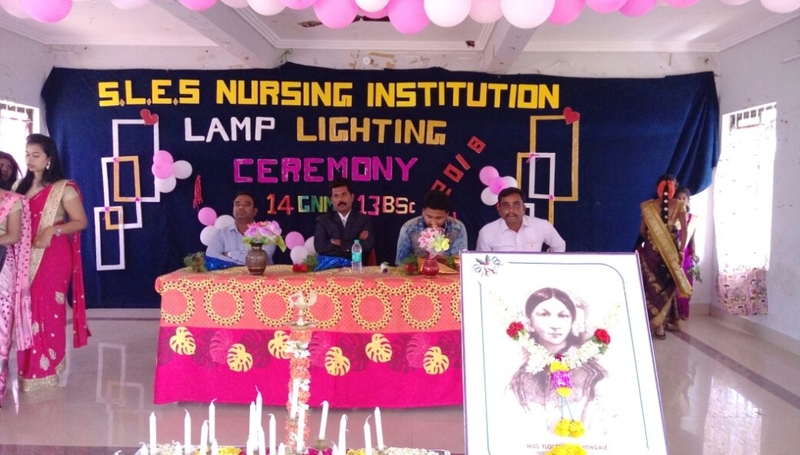 Lamp Lighting Ceremony of 14th batch of GNM and 13th batch of BSc Nursing students was held at SLES Nursing College on 22nd February 2018. 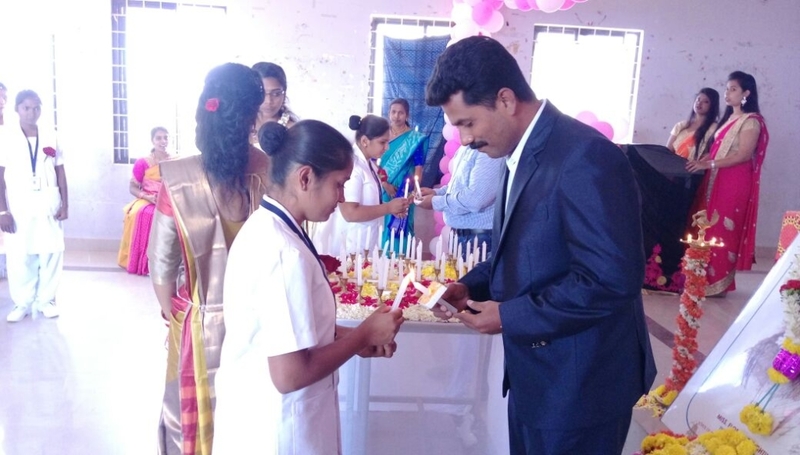 The ceremony witnessed 84 budding nursing cadets adorn the uniform to begin their noble profession of nursing. 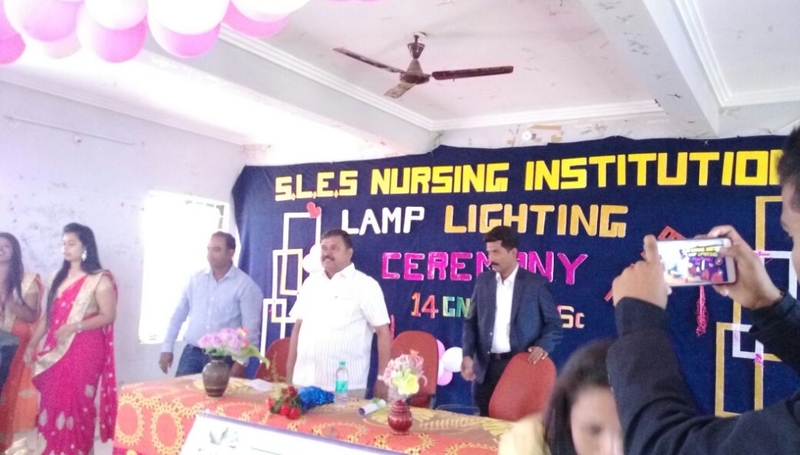 Speaking at the ceremony, the President Mr. C N Narasimha Reddy stressed the fact that the students should not only enhance their knowledge, skills and competence but also learn the techniques of soft skills. 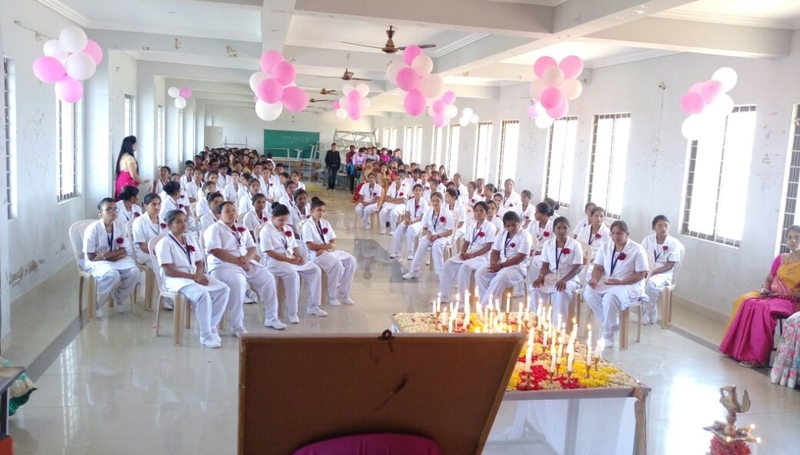 In an impressive ceremony, as per tradition, the teachers transferred the light to the students denoting the transfer of knowledge and wisdom from one generation to the next. 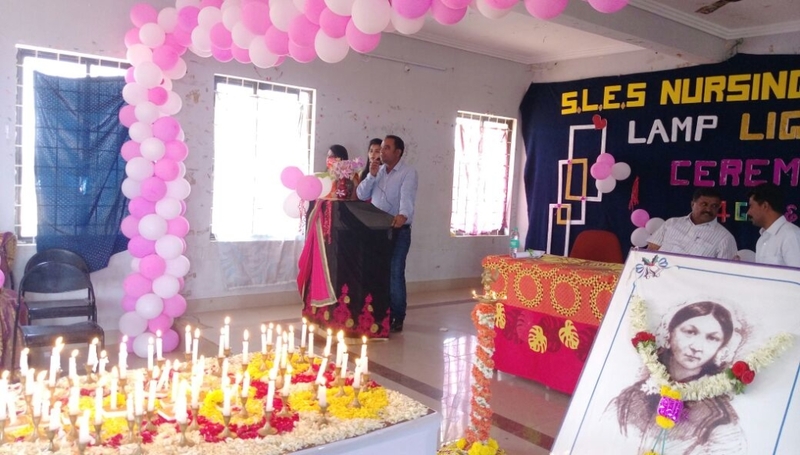 01/12/2018 was celebrated by students of SLES College of Nursing, to create awareness about AIDS-a dreadful disease, among the people in the community. 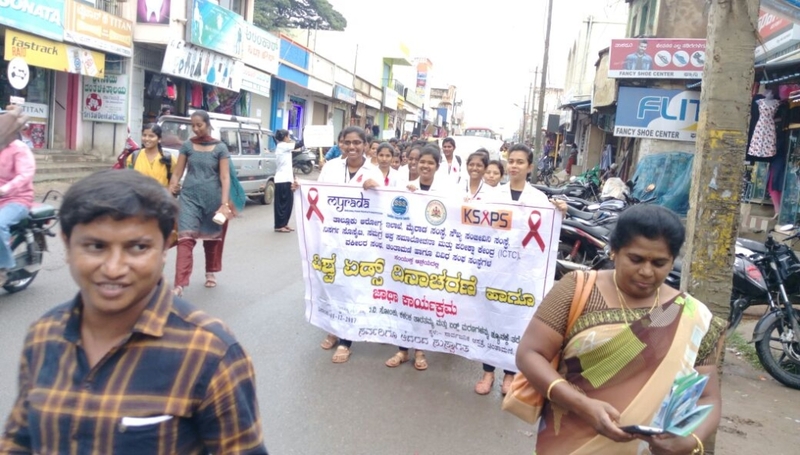 A number of activities were organized not only to mark significance of maintaining good health but also for causes & prevention of AIDS. 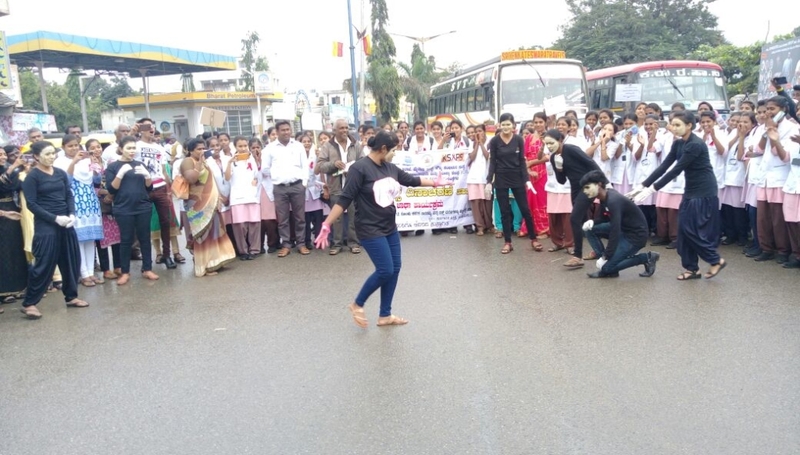 The people were made aware and educated to handle the situation if someone in the family suffers from the disease. 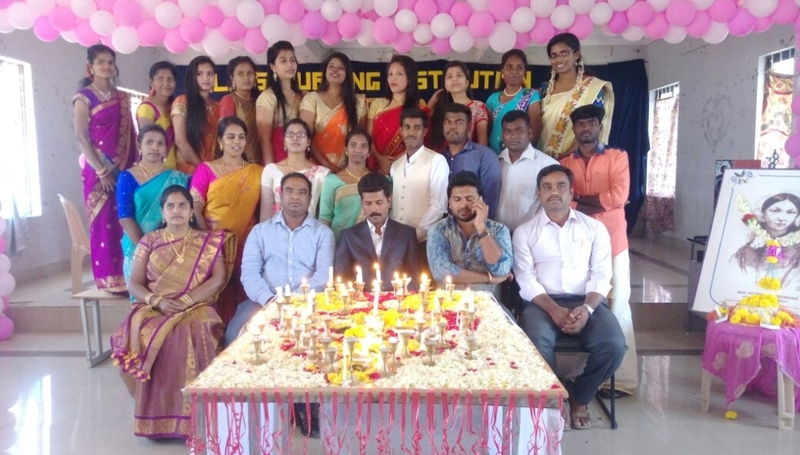 The students of GNM and B.Sc. 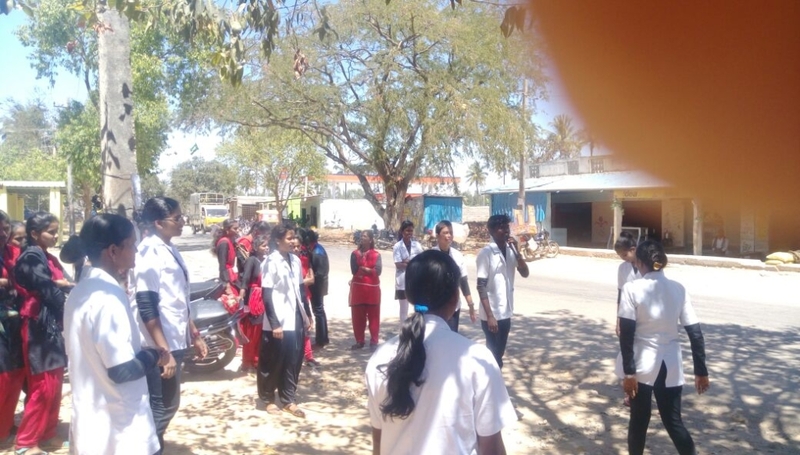 (N) prepared posters and models on the theme: causes of AIDS and preventive measures. 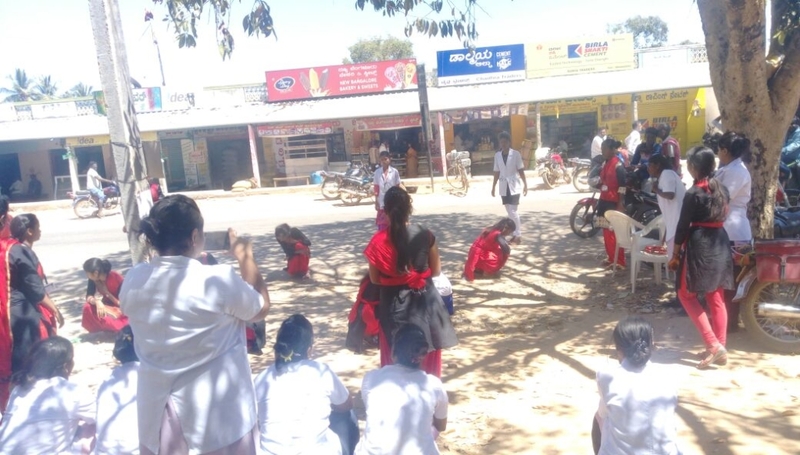 The students did role play to show the sufferings of a patient of AIDS with a purpose to sensitize the society. 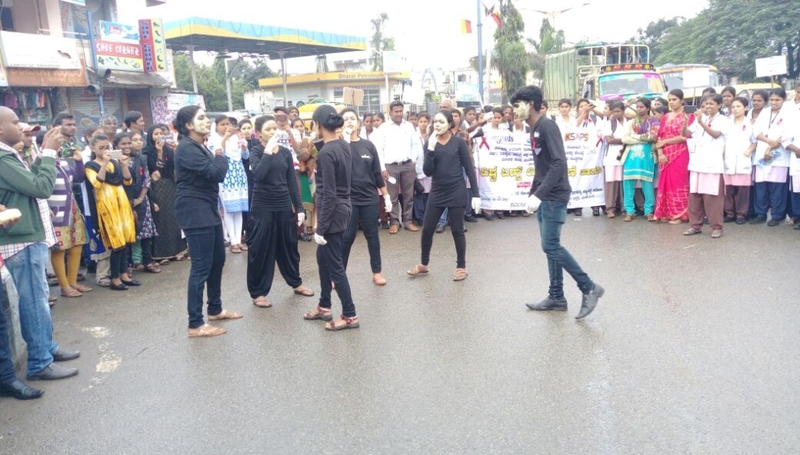 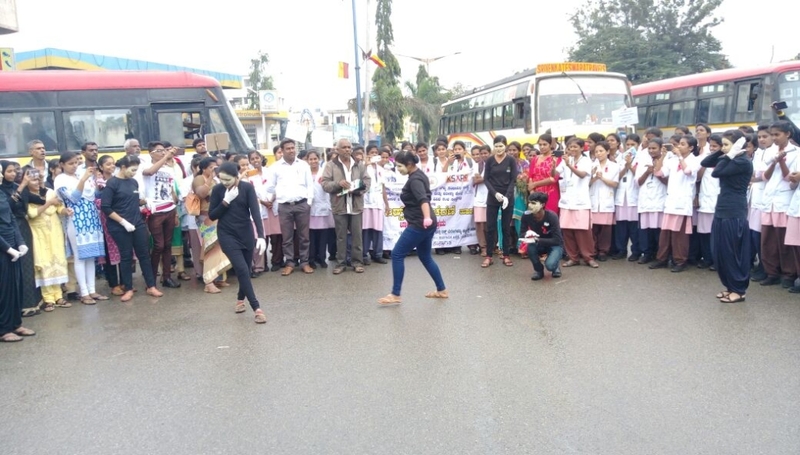 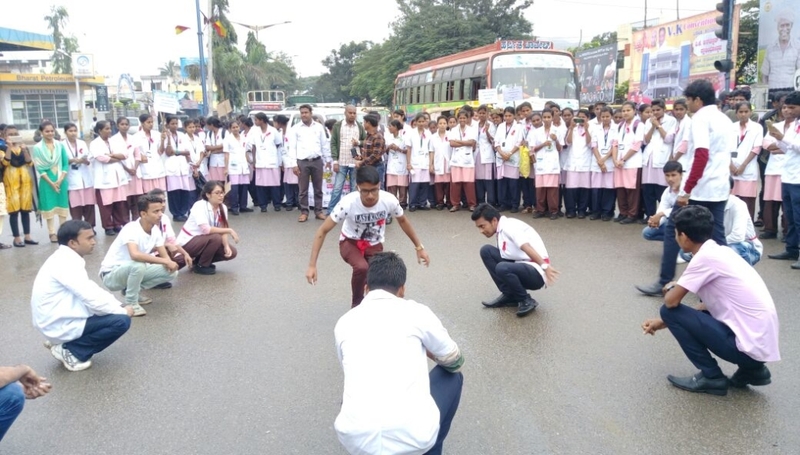 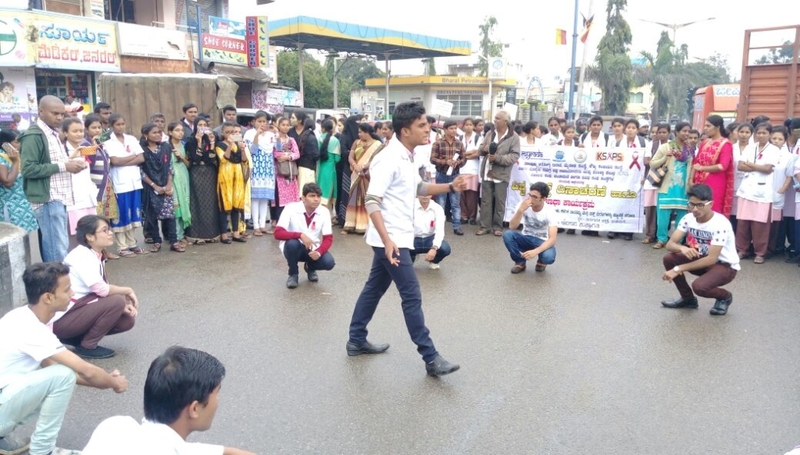 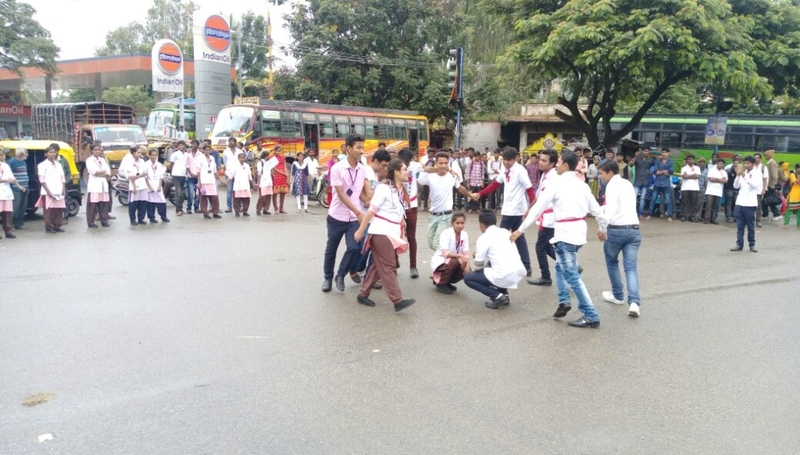 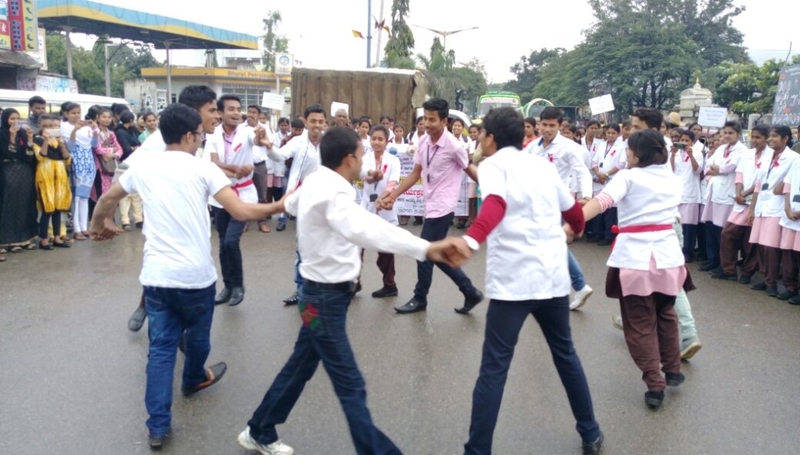 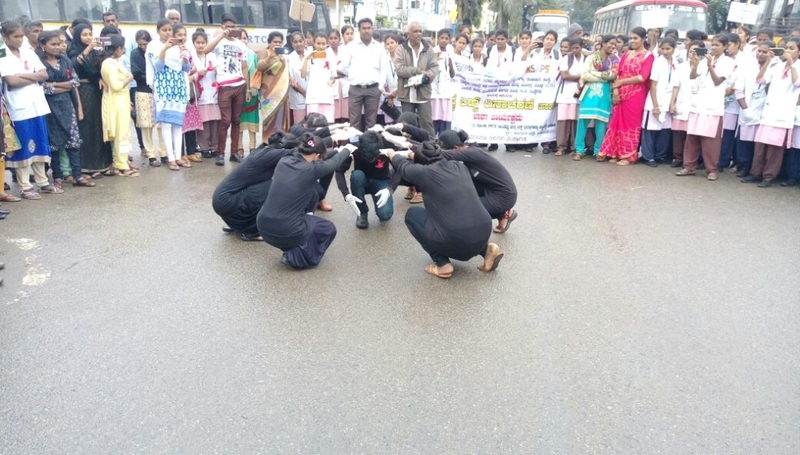 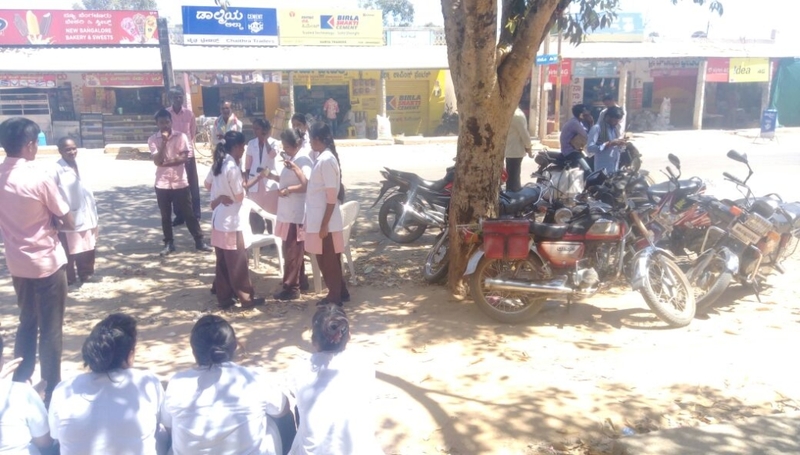 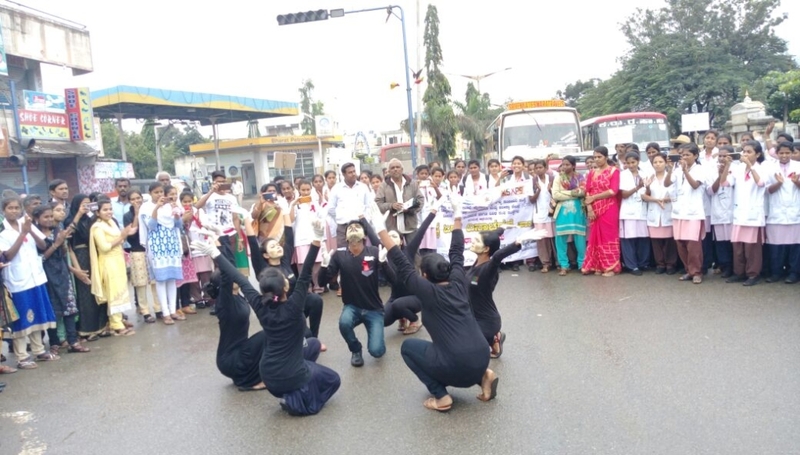 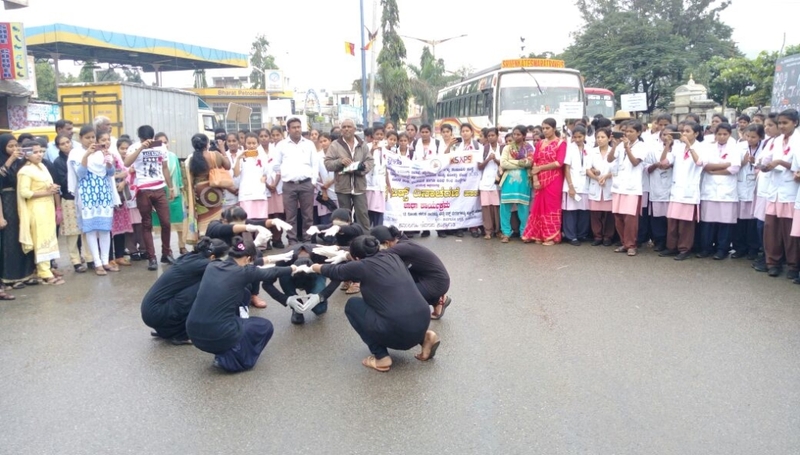 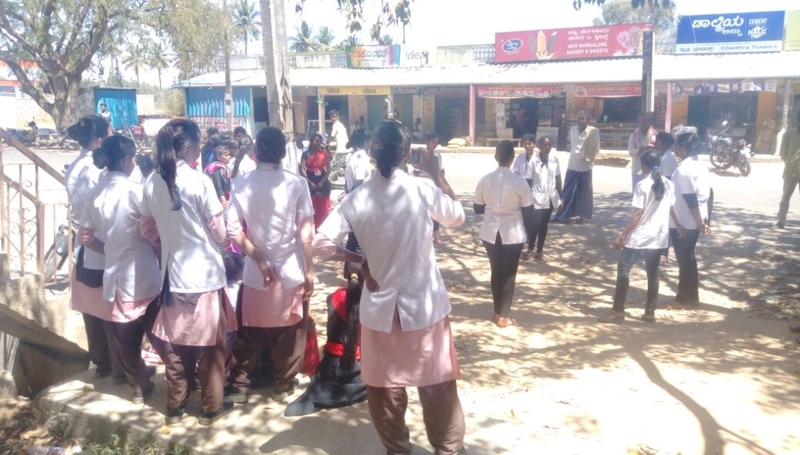 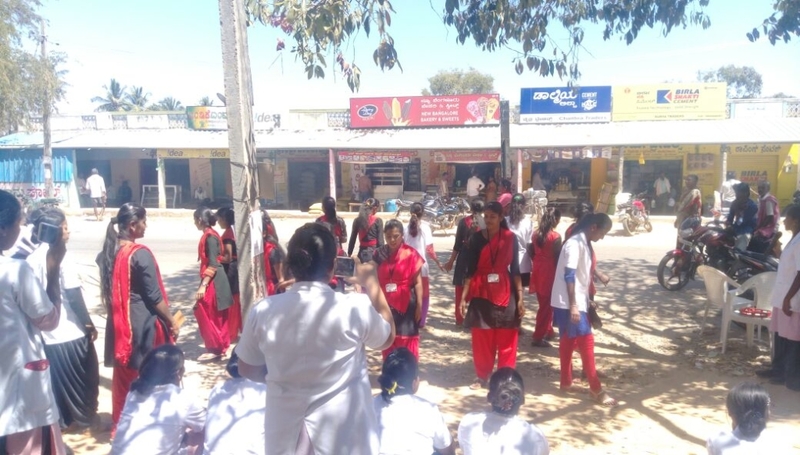 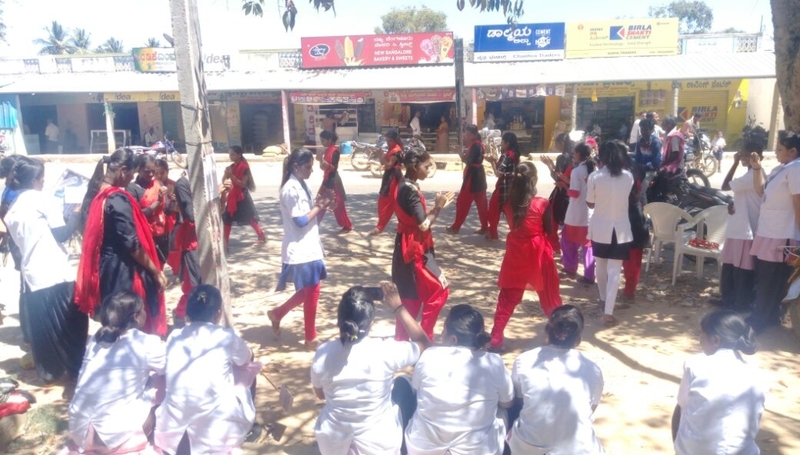 A rally was taken out by the nursing students in chintamani town, in which pamphlets with important information related to AIDS and measures for eradication of the disease, were distributed among people. 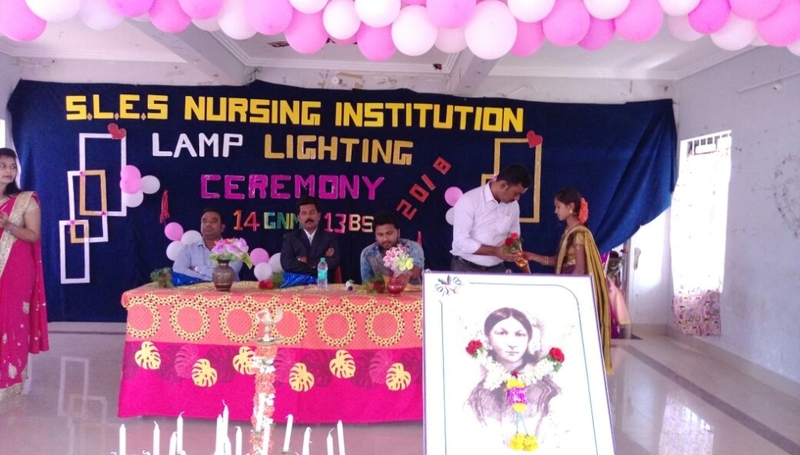 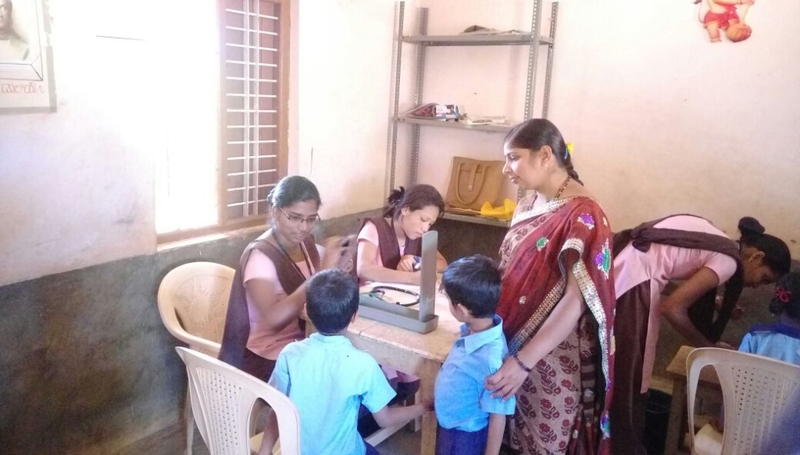 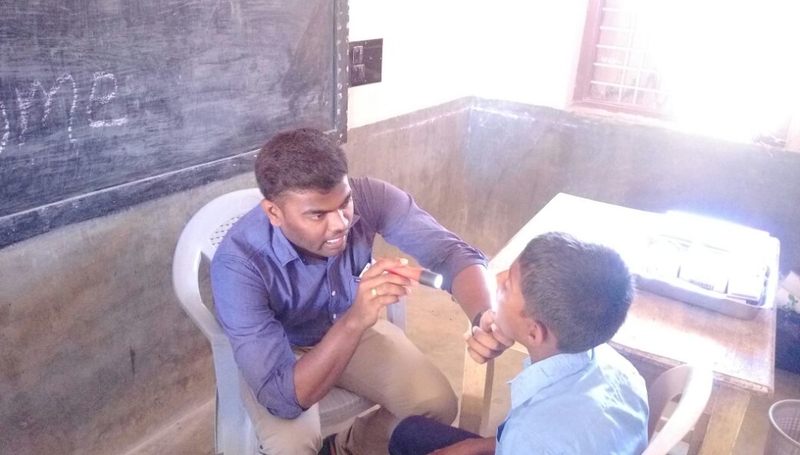 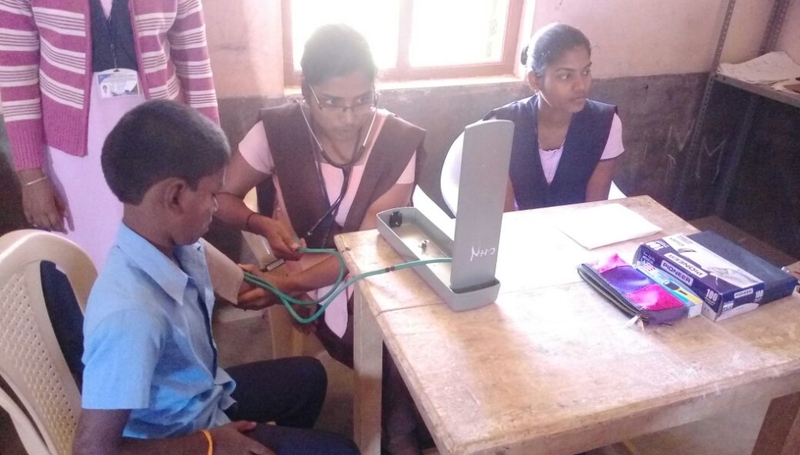 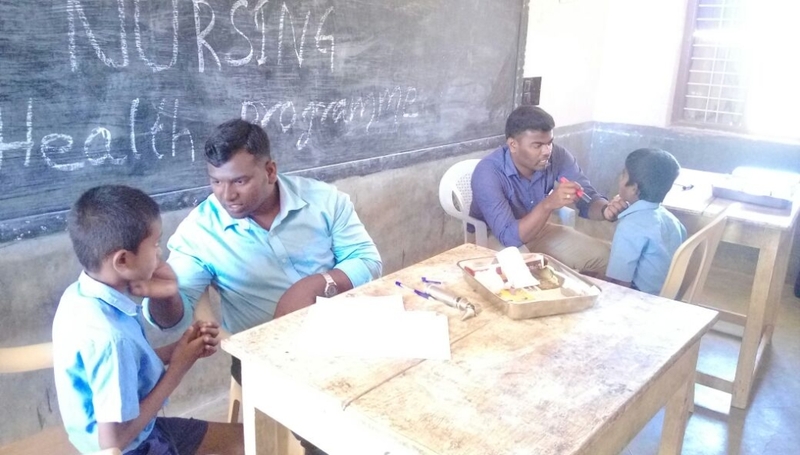 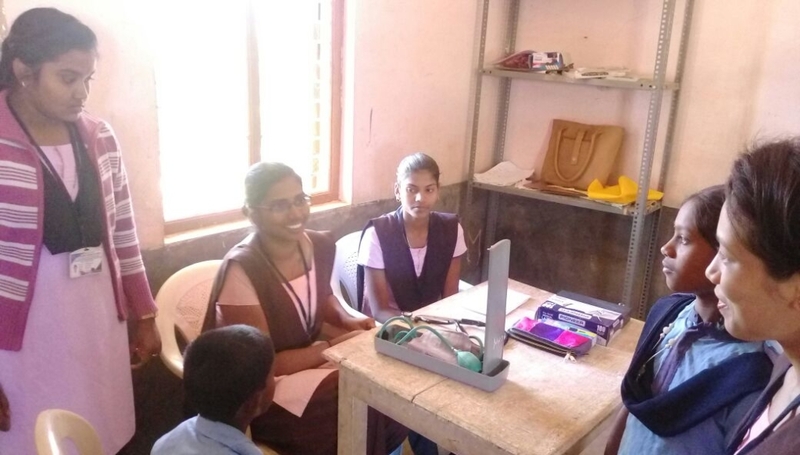 The faculty and students of nursing college went from door to door for general awareness of the villagers and thus made the celebration a success. 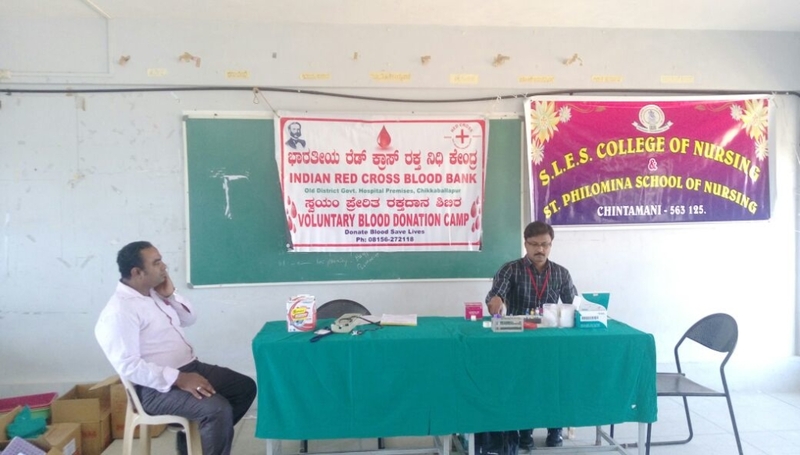 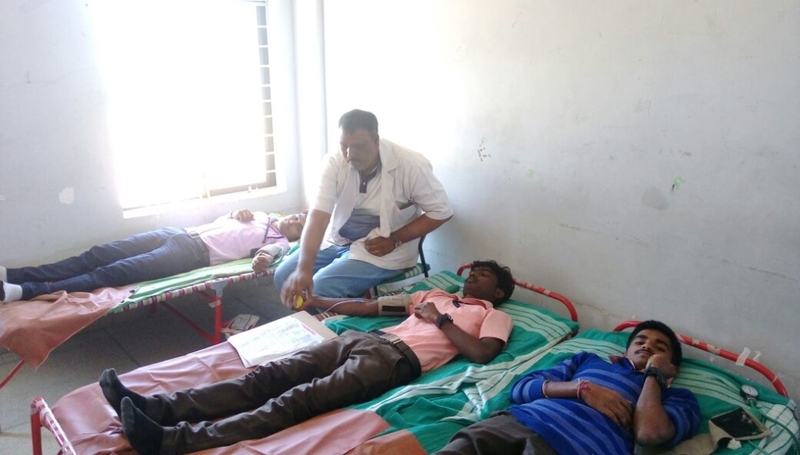 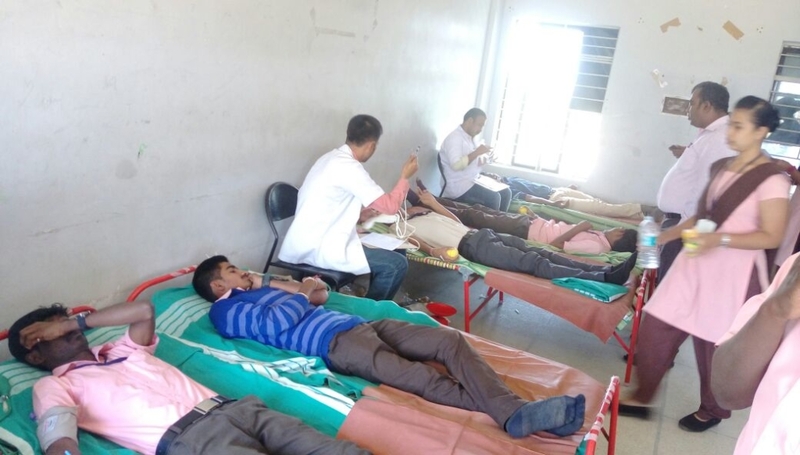 A blood donation camp was organized at the SLES Campus by Red Cross Society. 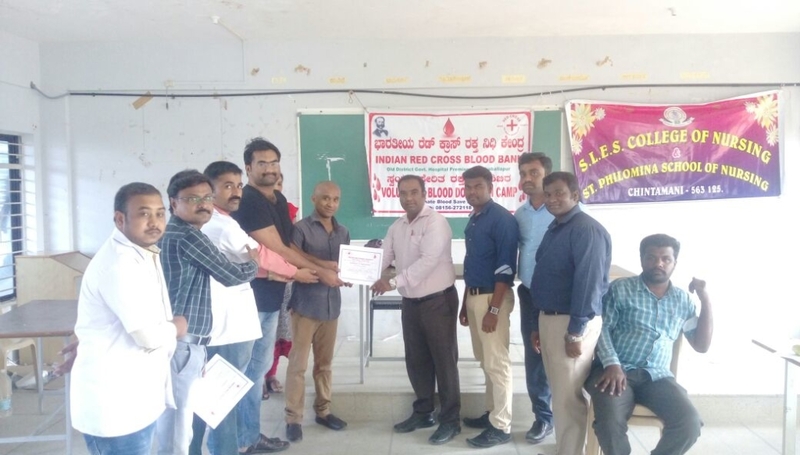 Many staff members and students donated blood. 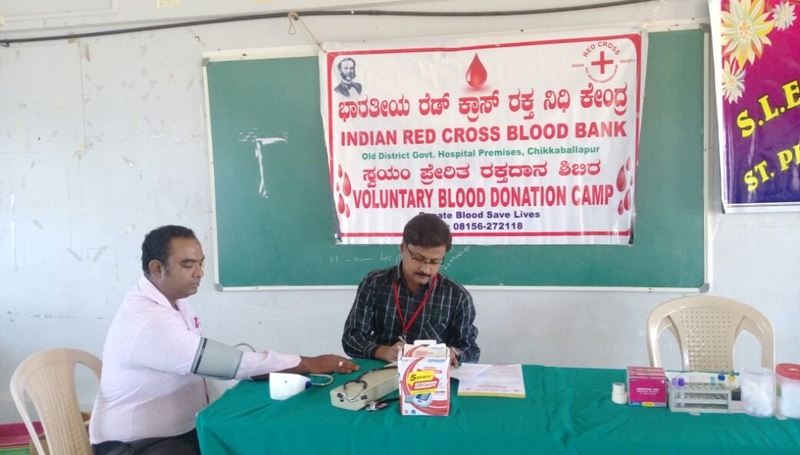 Special gifts and refreshments were given to all the donors in the camp. 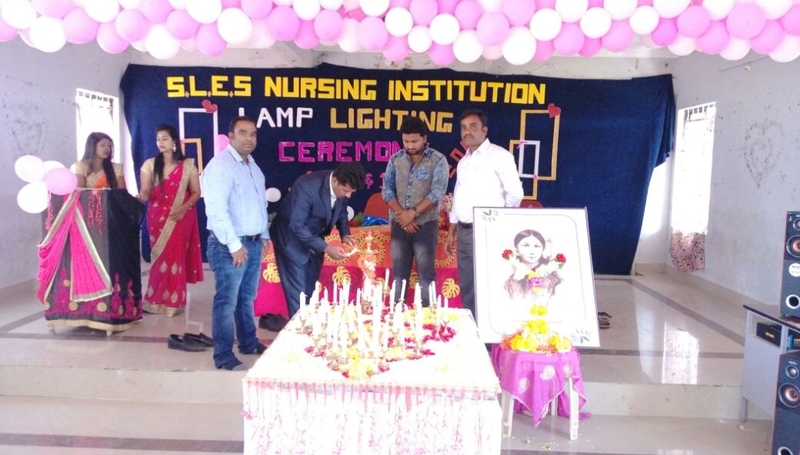 A seminar on “Improving blood bank services in India” was also held in campus.